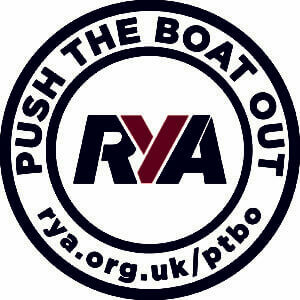 At Priory we want to have fully inclusive racing based on a handicap system call the Portsmouth Yard Stick.The Portsmouth Yardstick Scheme enables different classes and types of boat to race together under a handicap system. By using the Scheme, Sailing Clubs are able to easily get a variety of differing boats including Dinghies, Multihulls, Keelboats and Cruisers all racing together fairly. Now celebrating its 60th anniversary, the Scheme has developed to accommodate new boats and continues to provide a fairer handicap system. Five separate Series, the Icicle, Spring, Summer, Autumn and Frostbite, are available for all-comers on Sunday mornings on the dates shown on the calendar. In addition to this is the Olympic Pursuit Series which runs on occasional Sundays throughout the season. The Club trophies to be awarded and the tstart times of the races are detailed below. Two races on each of 8 Sundays giving 16 races, 5 to count for the “Icicle Tankard”. First race is at 10.30am, and the type and duration of both races is decided on the day by the Race Officer and those racing. Two 60-minute pursuit races starting from the shore. First race is at 10.00am. Ten races in the series with four to count for the all-comers “Olympic Series Tankard”, “Novice Series Tankard”, and glassware for second, third, best under 17and best under 13 helms and crews. 10.00am start for 30-minute handicap race, 10.45am start for 40-minute handicap race and 11.45am start for 30-minute handicap race. Eighteen races in the series with 5 to count for the “All-comers Mug”, the “All-comers Novice Mug” and the “Best Under 17 Shield”. 10.00am start for 30-minute handicap race, 10.45am start for 50-minute pursuit race and 11.45am start for 30-minute handicap race. Eighteen races in the series with 5 to count for the “All-comers Winners Shield”, the “Novice Winners Shield” and the “Best Under 17 Shield”. 10.00am start for 30-minute handicap race, 10.45am start for 40-minute handicap race and 11.45am start for 30-minute handicap race. Eighteen races in the series with 5 to count for the all-comers “Autumn Handicap Boat”, the “Barry Ingram Trophy” for the best Novice, and the “Best Under 17 Shield”. Two races on each of 12 consecutive Sundays giving 24 races, 6 to count for the “Nick Sparrow Trophy”. First race at 10.30am and the type and duration of both races is decided on the day by the Race Officer and those racing. Awards will be made to the best performance by a helm under 13 who will receive the Club’s “Best Under 13 Mug”. The “Most Improved Helm Trophy” will be awarded to the helm that, in the opinion of the racing subcommittee, has improved most over the year. The results of novices and Laser sailors will be extracted and entered into the Novice Only Group and the Laser Only Group. From the Novice Only Group, the novice with the best three results from each Series will be Novice of the Year and receive the Beginners and Novices Mug. From the Laser Only group the helm with the best five results from each Series will receive the Laser Shield, and the best helm under 17 will receive the Laser Youth Cup. Finally, the helm with the top performance determined by the best four places for each qualifying competitor’s results in the Spring, Summer and Autumn Series will receive the “Mr. & Mrs. S. Guest Mariner of the Year Cup”.